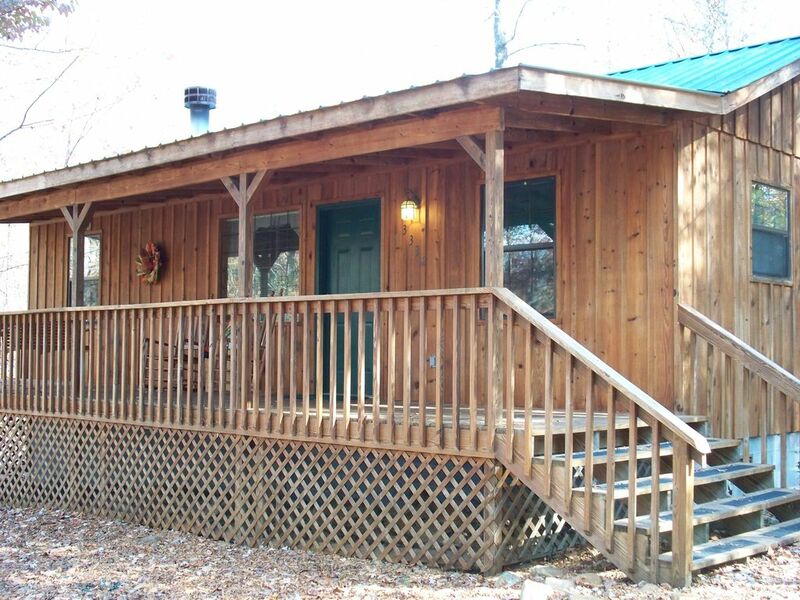 This cabin is located in Cosby which is about 20 minutes NE of Gatlinburg. The cabin is filled with all the extras that you would never expect in a rental! After a full day enjoying the sites and sounds of the surrounding areas you can retreat back to relax and refresh in the comfort of this cabin. The cabin is tastefully decorated with teapots in the kitchen. Cabin has a washer/dryer, and a fully equipped kitchen so you can prepare your own country breakfast. When you visit the Smokies and the Cosby area you will get to see life in a spectacular fashion - fresh apples picked out of the orchards, people farming their crops, cattle grazing, tall white church steeples on top of hills or across the valley, horses grazing, truly a place you will not forget! Some of many ways that you can explore the area is by foot, on the many hiking trails, horseback, llama treks, kayaking, mountain biking, or even from your car. Cosby/Cocke County is nestled between the Great Smoky Mountains, Cherokee National Forest and the Piscah National Forest, so you can just imagine the many things that await you! Even though you may feel like you are in another world you are only a short drive from all the sites and sounds of Gatlinburg,Smoky Mountain National Park, Pigeon Forge, Dollywood & Sevierville. Within an hours drive you will find Cherokee Indian Reservation, Maggie Valley, Cades Cove, Biltmore House and so many more exciting places! You will run out of days before you run out of things to do! We were disappointed with our stay. The furniture is out dated but mostly very worn and uncomfortable. Same for the beds, very very uncomfortable. The wifi was not working and when I called about it the person told my wife that no password was needed but did not bother to understand my wife was explaining it was down. Overall not happy with this experience. It has a lot of potential but falls short as if now. Very nice cabin in a quiet neighborhood. When we were there we enjoyed sitting on the front porch in a peaceful setting. All the amenities we needed were there. We would stay here again. The stay was very enjoyable. I will have to say the mom and pop restaurant up the road was awesome. The food was great and the prices was cheap. Just wish it was closer to Gatlinburg. The cabin was awesome!! Had everything we needed and just enough room for me my wife and 4 small children. It was about a 35 minute drive from just about everything from gatlinburge, pigeon forge, to smoky nat park. The only thing I would change about the vacation would be having a couple extra days in the cabin!!!! Highly recommend! Thanks for staying with us and for taking great care of the cabin. Please come back in the future and stay those extra days that you needed. Thanks again. Overall the cabin was really nice. The one shower didn't have much water pressure. A few things need fixed like light bulbs burned out and a broken window blind. Who ever cleaned before we got there didn't do a very good job. A bunch of leaves were under the throw rug in front of the fireplace and they had a fire and didn't clean it out well and was it wasn't cleaned up off the hearth. Dead bugs in kitchen sink and window sills. We cleaned some of the mess up from the previous renters or whoever was there last. TV was on when we first arrived. Maybe get a better cleaning crew to clean up. We had a great time there despite some of the things we found. If the light bulbs out were on the ceiling fans, all you needed to do was pull the chain which changes them from 2 bulbs to 4 bulbs. The window blind was not broken as far as we knew. The last people there were the owners and they would have said something if the blinds were broken. The Tv was left on to show you that it worked and to provide light if you came in after dark. Thanks for staying with us. Beautiful secluded cabin in the woods with all the comforts of home. Beautiful secluded cabin in the woods with all the comforts of home. 15 minutes from whitewater rafting in Hartford, about 30 to 45 minutes to Gatlinburg and about 2 hours to Cades Cove. Our family of 5 stayed for 6 nights and loved it! Thanks again for staying with us. Do come back again.